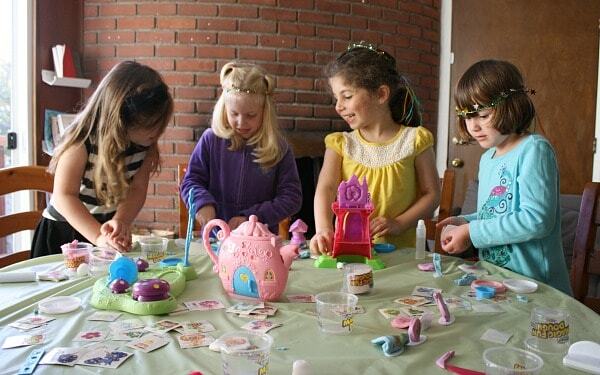 Recently we hosted a super fun fairy tea party playdate at our house! 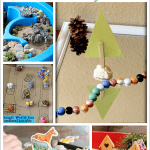 Keep reading to find out how simple a themed playdate can be to host! 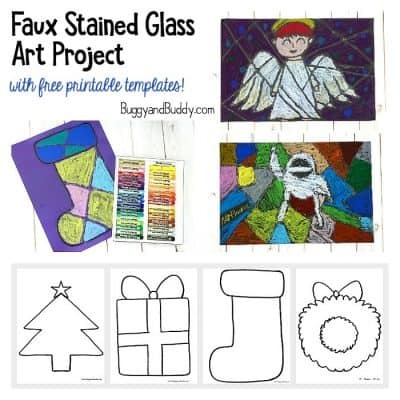 A big thanks to RoseArt Magic Fun Dough for sponsoring this post! Although I received this product for free and was paid for this post, all views and opinions are my own. You can read more here about my disclosure policy. Do your kids love having playdates? 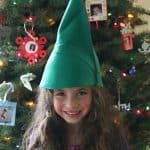 My 5 year old is frequently having friends over or being invited to playdates at her friends’ houses. And I actually love this! It provides a fun way for Lucy to have some social time outside of school, and it’s a great way to get to know all her friends and their families! So when RoseArt Magic Fun Dough offered to host a playdate for us, I couldn’t resist! 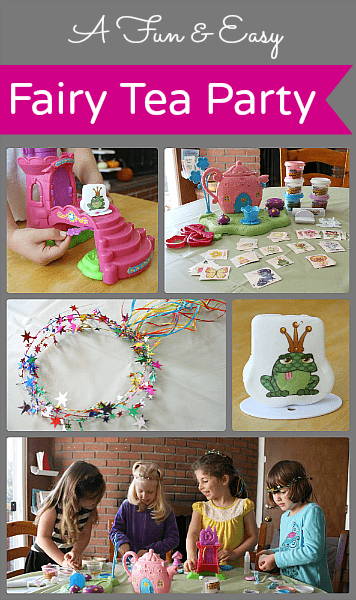 Click here to learn all about Magic Fun Dough and see all the available themed sets! 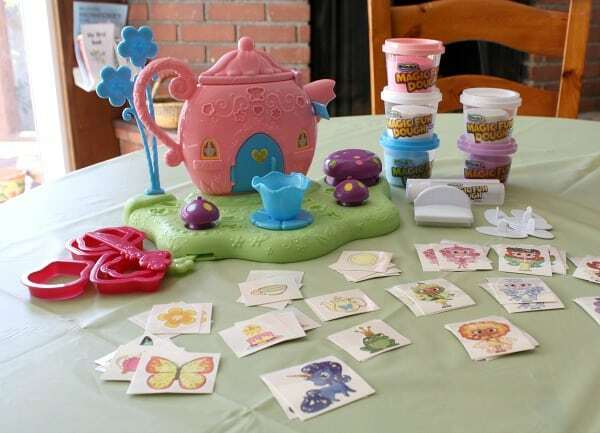 RoseArt sent us a Fairy Tea Party Magic Fun Dough Set and Princess & Ponies Magic Fun Dough Set to play with during our playdate. 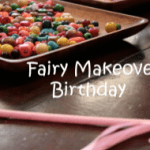 Not only are these kits super fun for a playdate, but they’d also make a great birthday gift or holiday gift for kids ages 3-7. 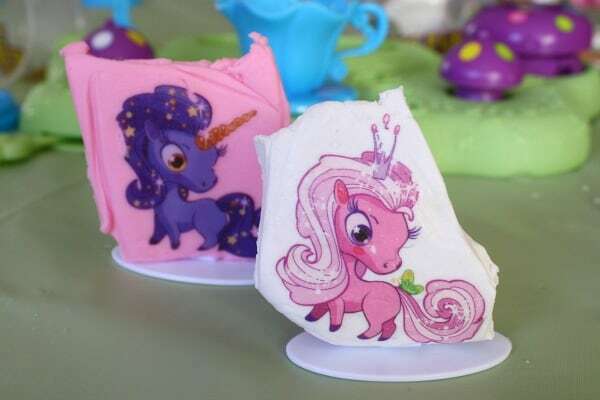 (And I also love that the Magic Fun Dough is non-toxic and made from corn-based, wheat-free dough!) 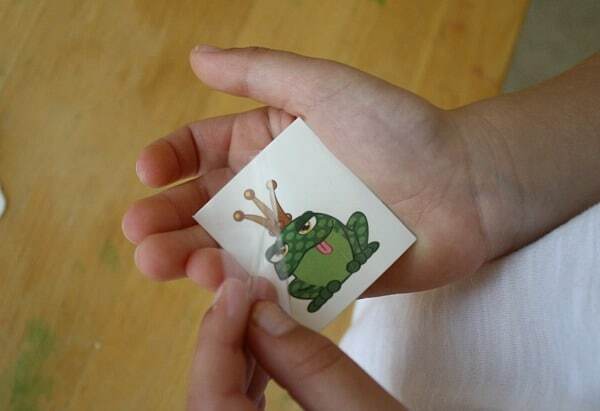 And the best part is the kits come with easy-to-apply, full-color transfers to help kids bring their ideas to life as they practice imaginative play in themed environments. Once they’re done creating colorful characters, they can smash the art back into the dough for endless play. The dough won’t change color or texture! This Youtube video shows you all the fun you can have with Magic Fun Dough! 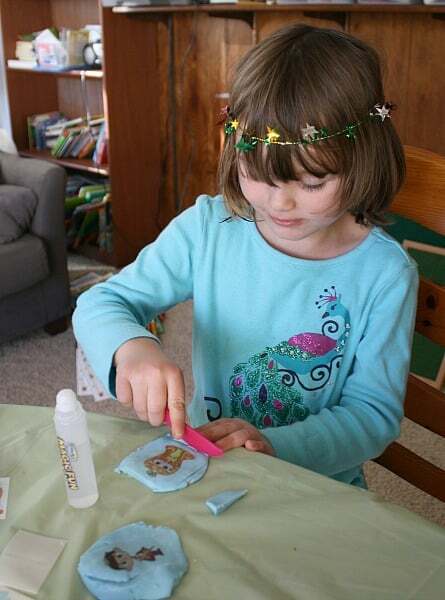 To prepare for the playdate, I first made some super simple and inexpensive fairy tiaras for the girls to wear. 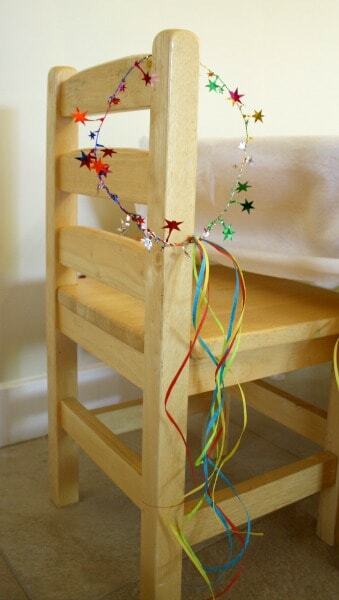 All you need to make these is some wire garland and ribbons! 1. 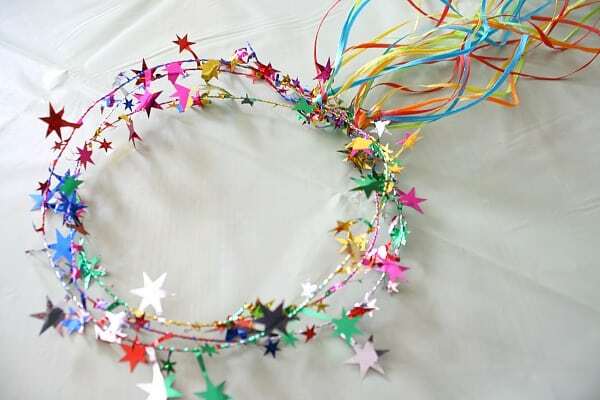 Cut off a piece of the wire garland and shape it into a circle. Twist the ends together to secure. 2. 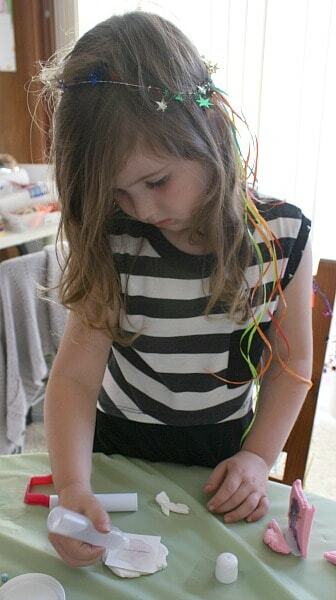 Cut lots of long pieces of colorful ribbon and tie them to the tiara. That’s it! Before Lucy’s friends came over, I set up the Magic Fun Dough kits. It literally took just a few minutes to snap the pieces together. Super easy! Once the girls arrived you could feel pure excitement in the air! All they wanted to do was get their hands on the play sets! Now one of the coolest things about these play sets are how you play with the dough. 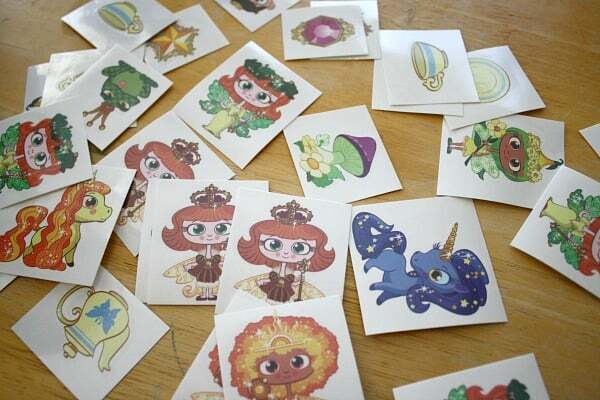 You can actually create your own characters with colorful transfers that come in the kit. We went over how easy it was to create their own play pieces with the transfers. 1. First you roll out the dough with a roller included in the set. 2. 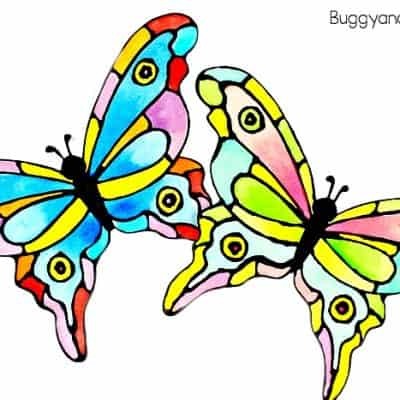 Choose the full color transfer you’d like to create. 3. 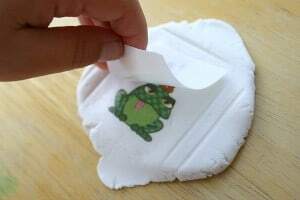 Peel back the plastic film, and place the image side down on the dough. 4. 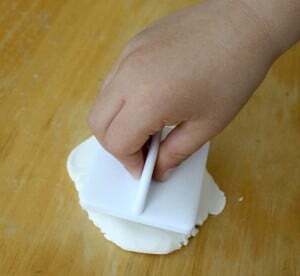 Roll over the back of the transfer with the “Magic” water pen thoroughly. 5. Pat the transfer with the square shaped blotter for about 45 seconds. 6. 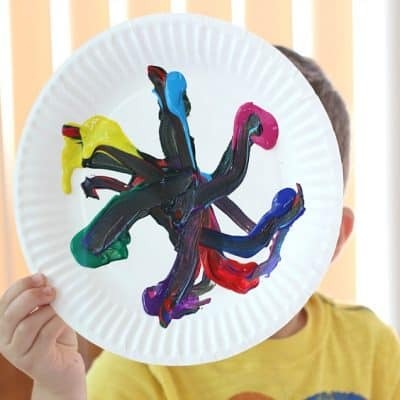 Peel back the paper to reveal the character you’ve just created! 7. Use the included shaped cutters to finish your dough creation. 8. 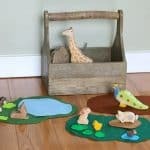 Add your new creation to a plastic stand to let dry (over a couple of days) or play with in the dough play environment. 9. If you want to try more transfers, just squish the dough back up and start again. The color on the transfer will not change the color or texture of the dough! After going over the directions, the got started playing and creating! Of course, they all wanted to practice using the transfers first. After some time our whole play area was full of colorful ponies and fairies! It was so fun seeing their excitement and smiles as they played and created together! And once the girls were done playing, I knew they’d be hungry so I prepared a super simple and delicious snack for our tea party. We had some lady fingers I found at the grocery store, some strawberries, and whipped cream. It was kind of like a finger food strawberry shortcake! 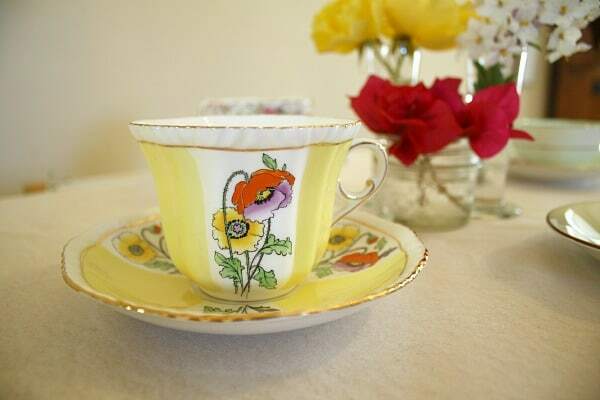 And no tea party is not complete without real teacups! I’m always on the lookout for teacups when I’m at a garage sale or antique store. I was so excited for the girls to get to put them to good use! I mean, how fun is it to drink some pink lemonade from a real teacup! 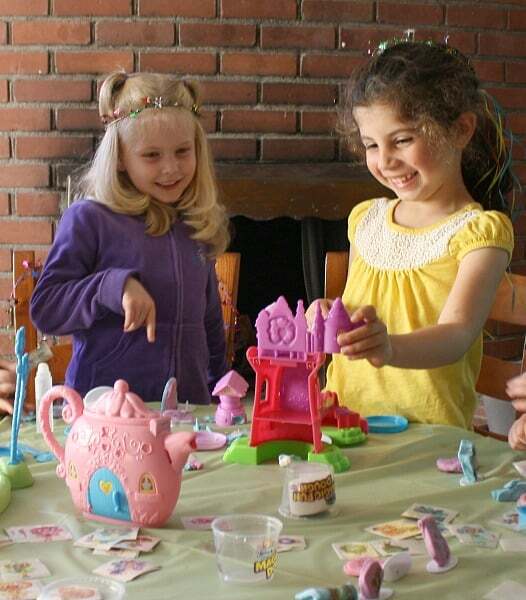 The girls loved being at their fairy princess tea party! Once all Lucy’s friends had said their goodbyes, Lucy headed back to the table and continued to entertain herself with the Magic Fun Dough. She seriously was occupied for over an hour! I could hear lots of different fairy and pony voices coming from the play room. All kinds of imaginative play was taking place in there! 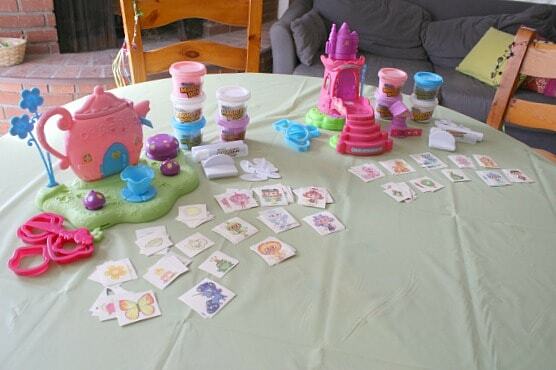 Obviously the Magic Fun Dough sets were a huge hit with my daughter and her friends. 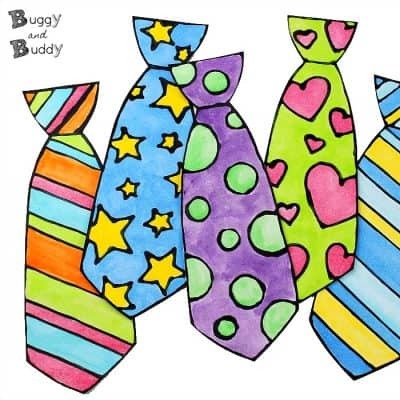 From a mom’s point-of-view, I was happy with the products. I felt confident knowing the dough is non-toxic (always a biggie for me). I also loved that there were no overwhelming scents coming from the product and how easy it was to clean up. 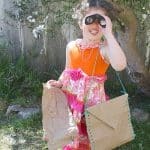 But the biggest test for me was watching my child with the toy, and seeing Lucy so caught up in her imaginative play let me know it was a winner in her eyes! 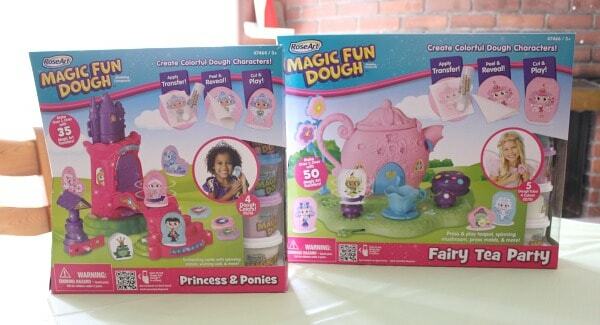 These Magic Fun Dough sets really would make a great holiday gift or birthday gift. The sets come in 6 unique themes. Besides the Fairy Tea Party and Princess & Ponies that we enjoyed, there’s also Pet Shop, Volcano Valley, Pirate Cove, and Barnyard. Magic Fun Dough is available on Amazon! 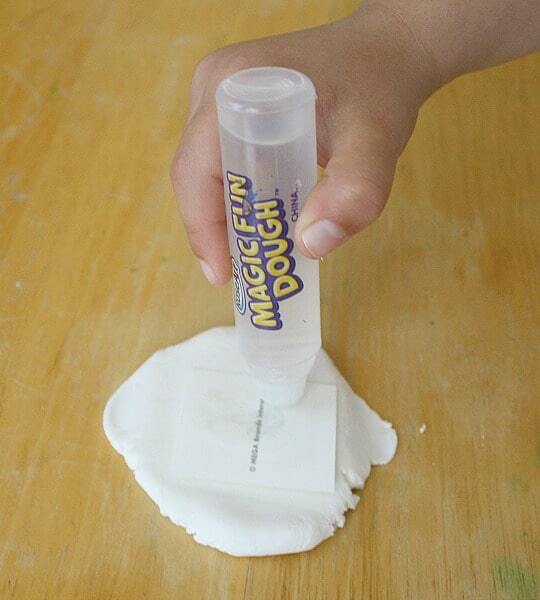 You can find Magic Fun Dough at Walmart and Target (where they are normally found in the craft aisle). Magic Fun Dough kits are also available on Amazon (which I always love because they can be shipped right to the recipient for you). And before you go, be sure to enter RoseArt’s 90th Anniversary Facebook Sweepstakes! How FUN is this? I would have loved this as a little girl- you are seriously the best mom ever! 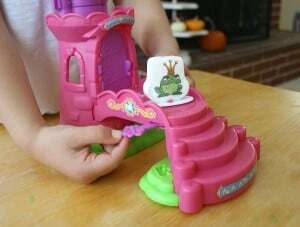 And those play sets are TDF 😉 Yay for Magic Fun Dough! Wasn’t this a fun play date? We had our play date last Friday and it was just a blast! I’m going to have to grab that princess one for a Christmas present for Alea– it looks too cute and I know she’d just love it! 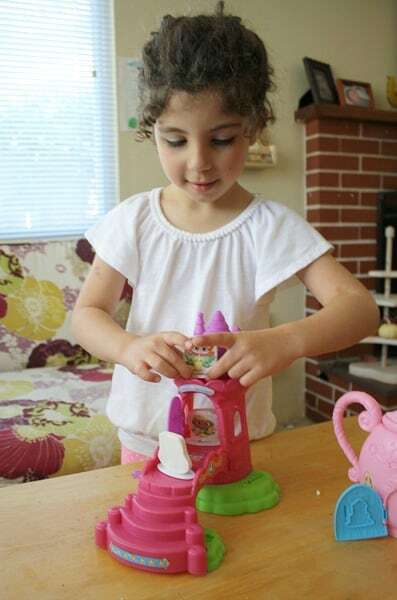 She hasn’t stopped playing with her tea party one or the volcano one since Friday– no joke! 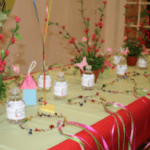 This is a very cute and fun homemade party theme. 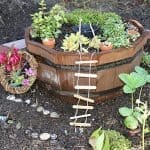 I think that half the fun would be setting it all up too 🙂 Thank you for sharing and for linking up this week to the Thoughtful Spot Weekly Blog Hop. Wow! My daughter would absolutely LOVE this! 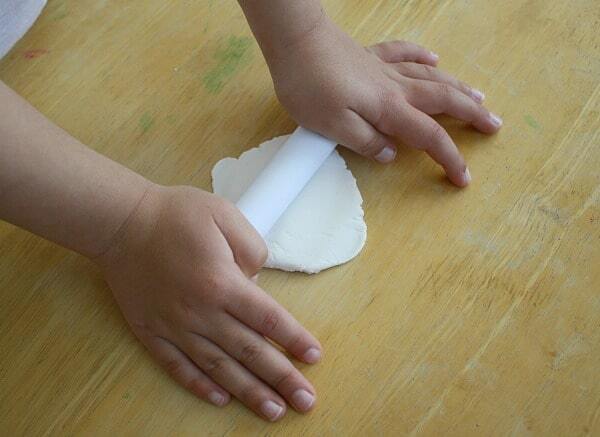 I love the magic dough, too – I think my daughter and her friends are just the right age for this. Thank you for the inspiration! Oh so fun! I love the transfers!! My daughter would go crazy for this, I am sure! Oh they looked like they had a wonderful time! What a treat! 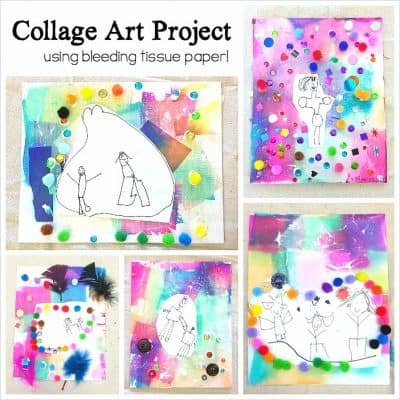 The RoseArt kits look like so much fun, thanks for sharing! This is such a cute idea! The playdough kit looks amazing -my daughter would love it. 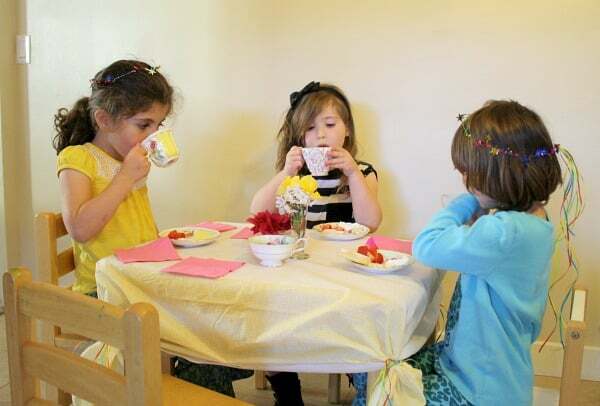 I especially like the tea party you set up afterwards with real teacups -I’m sure that made them feel special and grown-up! Thanks for sharing! so cute! you got a lot of great photos of the kids playing!! 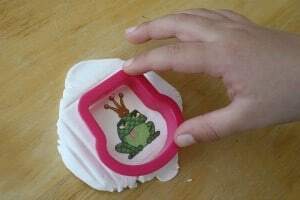 Mine wouldn’t stop moving the magic dough photos with people were all blurry lol.! 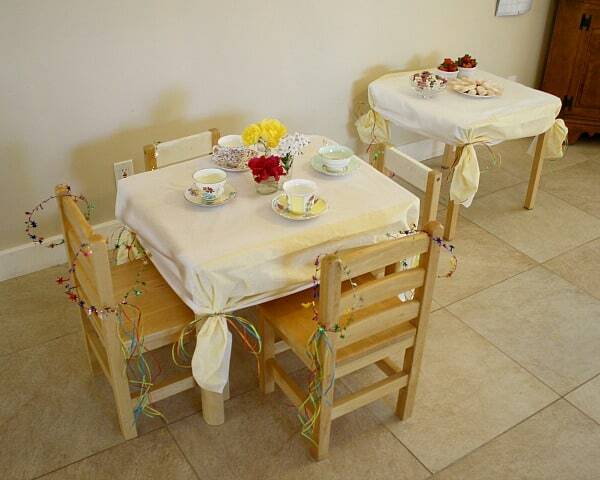 love the tea party table! so sweet. 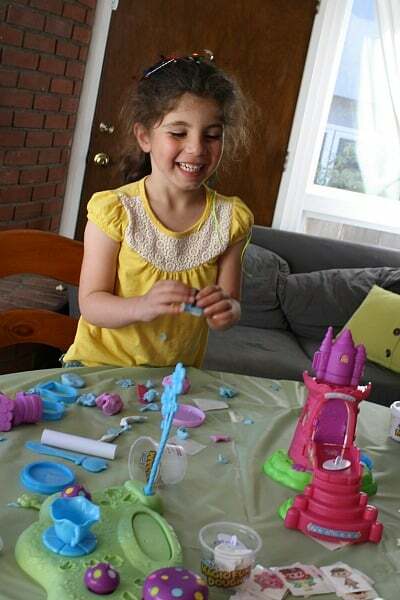 Great review of the play dough kit — looks like a lot of fun! Thanks for sharing at After School.